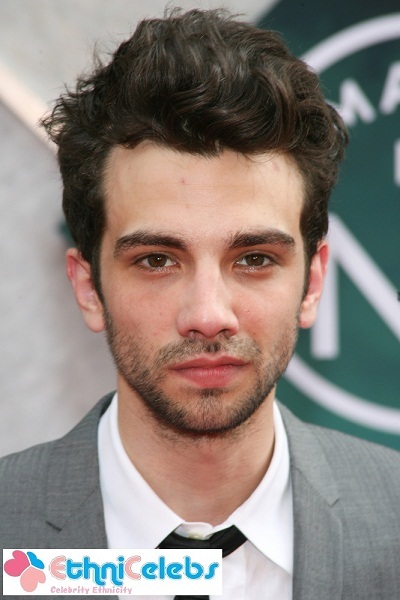 Jay Baruchel is a Canadian actor, comedian, screenwriter, director, and producer. 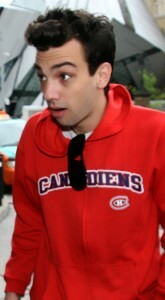 Jay is the son of Robyn (Ropell) and Serge Victor Haim Baruchel. Hus father, who was born in Paris, France, was of half Sephardi Jewish and half French, non-Jewish, ancestry. Jay’s mother, who is from Canada, was raised Catholic, and has Irish, English, and German ancestry. Jay’s paternal grandfather was Johnny Baruchel (the son of Victor Baruchel and Rose Forté). Johnny was born in Alexandria, Egypt, and was a Sephardic Jew. Johnny’s recent ancestors had lived in Egypt, Algeria, and Italy (including in Ravenna). Victor was born in Tanteh, Egypt, the son of Yacoub Baruchel/Beruchiel/Berouchel, who was born in Oran, Algeria, and of Stelina “Stella” Calamaro. Rose was born in Cairo, Egypt, the daughter of Isaaco “Zacchetto” Forte and Allegra De Botton. Jay’s Forte ancestors, originally named Forti, were from Lugo (now Province of Ravenna, Emilia-Romagna), Italy, where a Jewish community has been recorded since 1285. The former Duchy of Ferrara had three Jewish ghettos: Ferrara, Cento (where Benjamin D’Israeli’s ancestors were from), and Lugo (established in 1639, Jews were 10% of the population). Jay’s paternal grandmother was Marie-Madeleine Virlouvet (the daughter of Coutant Virlouvet). Marie-Madeleine was French. She may have converted to Judaism. Jay’s maternal grandfather was Robert William Ropell (the son of Robert Joseph Ropell and Grace Bridget O’Malley). Jay’s grandfather Robert was born in Halifax, Nova Scotia. Jay’s great-grandfather was the son of Robert J. Ropell, who was a German emigrant, from Danzig, Prussia, and of Frances “Fanney” Martin. Grace was the daughter of John O’Malley and Catherine Fultz. Jay’s maternal grandmother was Helen Margaret Saunders (the daughter of Andrew John Saunders and Rachel Francis Cullen). Helen was born in Halifax, Nova Scotia. Andrew was the son of Henry Saunders and Mary Ann Cookson, whose father was English and mother was Irish. Rachel was the daughter of John Michael Cullen and Mary Ann Phillips. This was his twitter post btw in case anyone is confused. Was Jay’s father raised in the Jewish faith even though he had a non-Jewish mother? Maybe they practice Reform Judaism. They accept people with patrilineal lineage. Baruchel’s paternal grandmother may have converted to Judaism.